Chase Bryant and Drew Baldridge will be performing along with many other artists. These platinum-selling, chart-topping artists will be providing a full day of country music. Also appearing on stage will be Sabrina Lentini, Daniel Bonte & The Bona Fid and Michael Austin. Casadee Pope rose to the pinnacle of country music stardom after winning Season 3 of NBC’s The Voice. Jerrod Neimann started out by being nominated as Best New Artist in the 2010 Country Music Awards and has never looked back. It’s not just all about music though—seven of the Southland’s top BBQ Pitmasters will be smoking up some great barbecue for everyone to sample and buy. These are not just people cooking a little ‘que, these are KCBS (Kansas City BBQ Society) and CBBQA (California BBQ Association) level Grand Champions and top award-winning pitmasters. Dad’s Chillin’ and Grillin’ BBQ Team and Catering is one of the teams cooking up some ‘que for the Temecula Jamboree Country Music Festival. 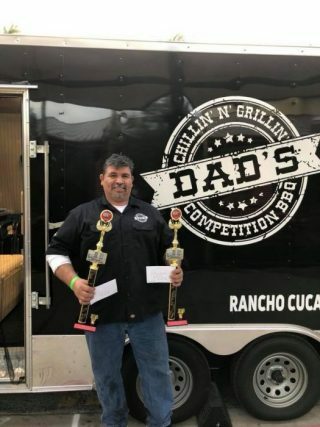 Don Martinez has led his team to many top KCBS Awards, including 2016 Grand Champion in the Riverside Competition, 2017 1stPlace Ribs in the Fillmore Competition and 2018 People’s Choice in the 2018 Bullhead City Competition. Don knows good BBQ and has cooked with and competed against top BBQ’ers Big Moe Cason and Myron Mixon. .
Q: Are you planning any special meats for the Temecula Country Music Jamboree? A: For the Jamboree we’re doing sandwiches. For most people at events, they want food they can eat on-the-go with their beverages. We’re doing a Brisket Sandwich, where we’re doing a low and slow brisket that will cook for probably 10 to 12 hours. It will probably be on a brioche bun with pickles and onion. 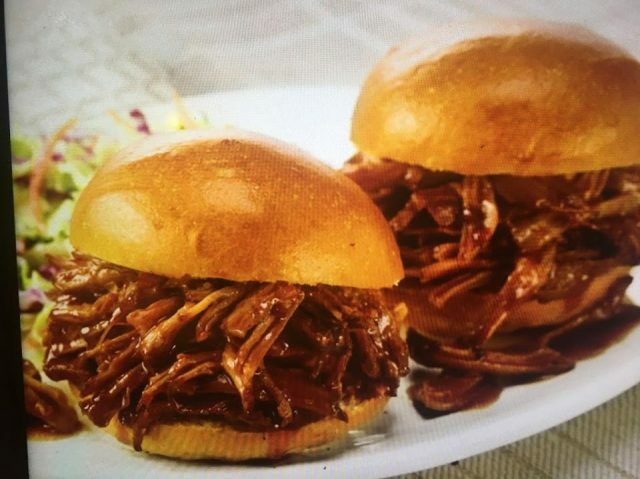 We’re going to do a pork sandwich with pulled pork, we call it The Pig. It will be seasoned and slow-cooked 10 to 12 hours also. Then we’re going to top it with candied bacon and that will be on a bun also. We do a fabulous Baked Mac and Cheese; it will be a side. It will also have candied bacon in it and maybe some spears in it as a bonus. My wife makes an excellent Triple-Berry Cheesecake Cobbler and that will be smoked in the smoker also. It takes a couple of hours to smoke that and the end result is fantastic.The combination of a cheesecake and a cobbler together is real good—we did it at Stagecoach [Country Music Festival in Indio] and we’ve done it at some of the other big events and it always seems to be a big hit with the fans. Q: So this is not your first county music festival then? A: No it’s not, we started with Stagecoach. We were fortunate to be one of the teams picked to do the event with Guy Fieri’s Smokehouse. I think it was called the Smokehouse Stage. I think there were seven to ten teams and a couple of restaurants that were attending so we had a big showing. We did ribs that weekend. A partner of mine was cooking with me, last year we were Rib Team Of The Year, so we went off of that and only did ribs and we ended up selling out every night. We ended up cooking 750 slabs of ribs! From there on we’ve gotten a ton of requests from people so they could get more ribs, they’ve been calling and emailing. That was kind of a start for most of these kinds of concerts. Another one that was doing a production up north called Boots in the Park asked us to go cook for him there, then there was the Horse-town Brew ‘n’ Que in Norco; that was just a few weeks ago. Q: so you’re happy to be going to Temecula. Have you been to Temecula before? A: Not at one of the concerts, but we actually just did a competition in Temecula about three weeks ago. It was a Kansas City BBQ Society competition, like BBQ Pitmasters. We did fairly well there, it’s good when you hit a chord and then a walk with any of the four meat categories.We were happy to get a call on brisket that day, which is one of the tougher meats to cook right. Of course, the categories are brisket, ribs, pork and chicken; and brisket is always the hard category, so to get a third place call with brisket out of the Top 50 Teams in the nation that were there was very satisfying. A: Absolutely! That’s what sets our BBQ apart is that when we barbeque for people, we barbeque like we’re doing a competition, so it’s like what the judges actually taste. I’m not putting restaurants down but most of them have to cook for a commodity and they’re just pumping out as fast as they can, where we take our time a little more; we’re cooking for individuals so we enjoying people knowing what real barbecue tastes like. It’s getting that low and slow smoked taste, it’s getting the rubs that we use in competition and the sauces that we use in competition. Just seeing the enjoyment off of people’s faces whenever they say Oh my God this is delicious!reminds me that they can’t get this at a restaurant, this is right off the grill, right off the smoker, made distinctly for you. I think that’s what sets team barbeque and professional pitmaster barbeque apart from restaurants. 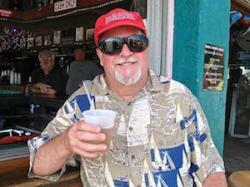 Q: Thanks Don, we can’t wait to taste your barbeque at the Temcula Jamboree Country Music Festival! 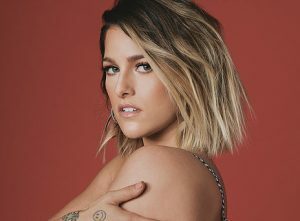 In addition to the big-name musical entertainment such as Cassadee Pope and Jerrod Neiman as well as the BBQ Pitmasters, there will be a Country DJ in the Line Dancing Pavilion, Lone Dancing Lessons and a Family Fun Zone. Thirsty fans will have a choice of many craft beers and wines for tastings to sample and enjoy. In fact, over 20 craft beer brewers will be there to keep the crowds happy. The Galway Sprits Lounge will also be serving a variety of spirits. A Festival Bazaar will also feature arts, crafts, performer merchandise and many other items. There’s even a mechanical bull to ride—-if you are brave enough! The Temecula Jamboree Country Music Festival will take place at Galway Downs in Temecula, just a short drive from Los Angeles, Orange County and San Diego. An ideal way to do it is to do a weekend, one day at the Festival and the other sampling wines from Temecula’s many fine wineries including Callaway Winery, Wien Family Winery, Mount Palomar Winery, South Coast Winery, Lorimar Winery and over 30 more. Country music, barbecue, dancing and more—-it’s time to polish up those Tony Lama boots and get on down to Temecula! This entry was posted in Cocktails, Beer & Wine, Food, Interviews, Upcoming Events and tagged Barbecue, BBQ, Casadee Pope, competition BBQ, Dad's Chillin' and Grillin', Don Martinez, Jerrod Neimann, Temecula, Temecula Jamboree Country Music Festival. Bookmark the permalink.